This one was made from Oakshotts' Lyon collection that I bought a while ago. I had some scraps lying around as I was thinking to use it in my Single Girl quilt but decided against it in the end. Oddly enough it is very satisfying to make a pincushion. Is that weird ? This one is on its way to Fiona from my Brit Bee group. Eeek! 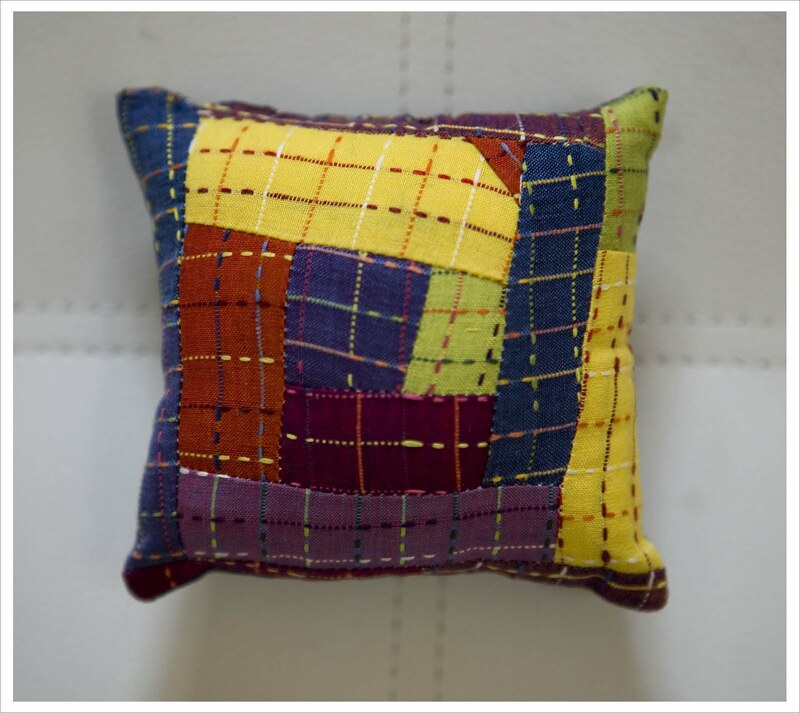 I was just admiring your beautiful pincushion on Flickr and then I come here and see it's on it's way to me! Thankyou so much it's beautiful!!! Funny you say that because a pincushion is high up on my list of things to make because I don't actually own one. How silly is that?! Fiona is a lucky duck. The one you just made is lovely. V.cute! I love making pincushions too - so satisfying, and using up scraps is always satisfying for me. Lovely - I've been cruising the Oakshott site all day! You make the cutest pin cushions! Another great job. Fiona is a lucky lady.